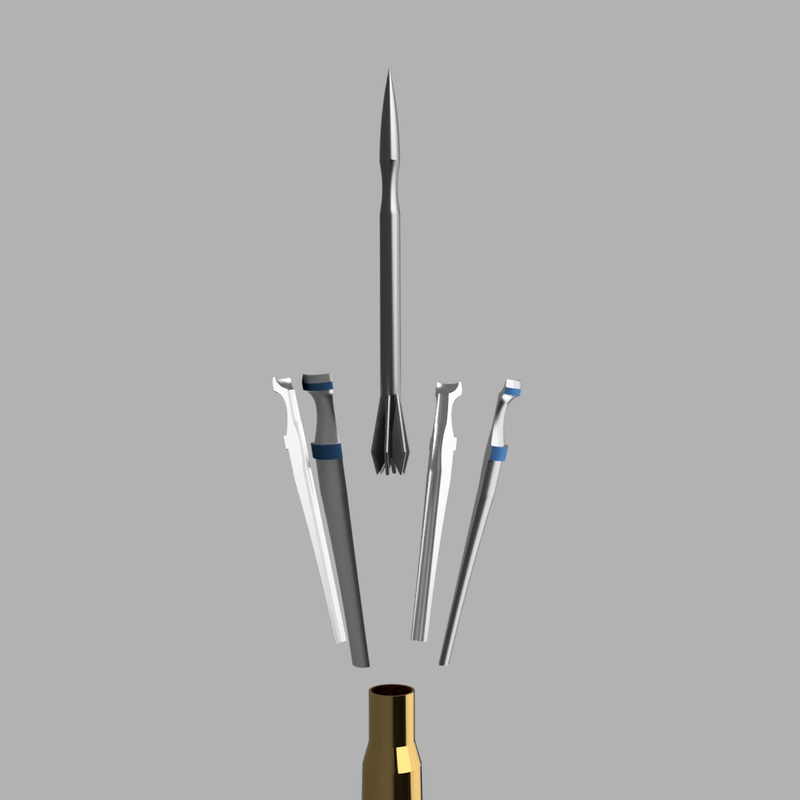 HKT was approached about a year ago to develop a round that was capable of being shot at a range of 3 miles to break the world record for longest shot from a small arms weapon. The result was the .50 RS. This is a very unconventional cartridge. Based off of armor piercing tank rounds, it is a .50 caliber fin stabilized discarding sabot round. It works by focusing all the force of a .50 BMG powder load into a 70 grain tungsten projectile. After the round clears the barrel air pressure rips the sabots away from the round leaving just the penetrator. In order to be within a scopes range of adjustment it must move at a consistent speed of 4000FPS or better. Almost everything for this project is done. All that remains is to manufacture the round and a rifle capable of shooting it.